Call it a blast from the past. At Wayne State University (WSU), workers recently stumbled across a forgotten stockpile of Cold War-era emergency supplies in the basement of the Schaver Music Recital Hall, a building slated for renovation. 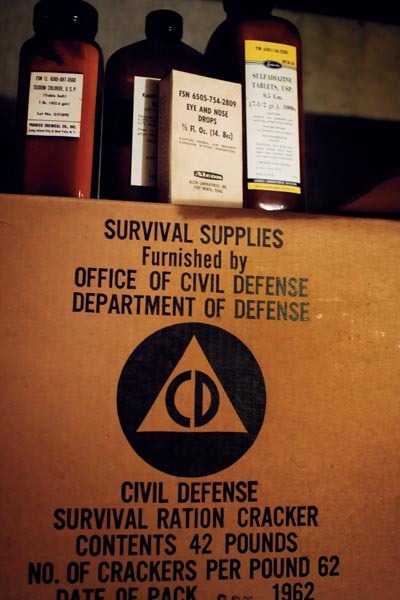 Most of the barrels and cardboard boxes, issued by the Department of Civil Defense and squirreled away for decades inside a 3-foot-high crawlspace, are stamped with a date of November 1962. This was just weeks after the Cuban Missile Crisis — which put the United States and the Soviet Union on the brink of nuclear war — convinced Washington that the country needed to be better prepared in case of an attack. Such finds are becoming increasingly rare. At its peak, Detroit had 1,67 designated fallout shelters, including 31 on Wayne State’s campus. They typically were located in basements and tunnels under schools, gyms, factories, and office buildings. However, as the risk of a Soviet attack greatly diminished over the years, many of the familiar Civil Defense signs that identified emergency shelters were taken down. A 1976 government directive authorized the disposal of the aging foodstuffs, though forgotten inventories, like the one at WSU, occasionally are uncovered. 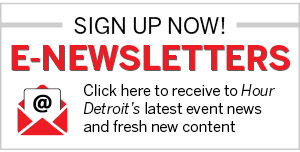 Sears says the cache will probably be given to the Detroit Historical Museum. > Steel barrels of water, double-lined with plastic. “There was no bottled water like we know it today,” Sears explains. Each 17.5-gallon drum was intended to supply five people with one quart each per day — enough water for 14 days. > Sanitation kits that included toilet paper, sanitary napkins, plastic gloves, liner bags, and packets of toilet chemicals. The kits came inside a cardboard drum that, when fitted with the enclosed plastic seat, served as a temporary toilet until emptied metal water barrels could be employed for that purpose. > Tins of cereal-based foodstuffs, principally crackers, biscuits, and wafers, along with nugget-size pieces of hard candy that actually were carbohydrate supplements. Shelter occupants were expected to follow a chart that limited each person to 700 calories a day.